Peg Cole worked for Braniff International as a flight attendant during its heyday of growth and expansion during the 1970s. This begins a series of interviews that will share true stories of what it's like to work for the airlines as a flight attendant. In response to a series of questions this participant, whom we'll call Pam, shares her reasons for taking the job, her favorite destinations, her most harrowing experience on-board and her reason for leaving the airlines. Question: Why Did You Want to Become a Flight Attendant? Answer: Sitting in a Civics class in the 7th grade junior high school auditorium we were asked to write an essay on what it was we wanted to do for a living in the coming years. There was no hesitation in my mind as I wrote about my desires to become a stewardess, as they were called in that time. Whether they called it hostess, flight attendant or anything else, the idea of traveling across the globe and being paid for a job like that was appealing in every way. Q: What Qualities Landed the Job for You? A: I’d grown up as a dependent of the Navy, the daughter of a U.S. Naval officer, so I was accustomed to living in different areas of the country, changing schools, friends, environments on a moment’s notice with each new set of orders my dad received. We lived in Navy cities across the east coast, moving from the Deep South to the Upper New England states overnight. That adaptability was what I emphasized at my initial interview with the airlines. It didn’t hurt that I’d worked in the hospitality industry at a local restaurant where I’d been a waitress, bartender and hostess. "If I hear one more candidate tell me how they just 'love people' I think I'll scream." Q: Which Airlines Did You Work For? 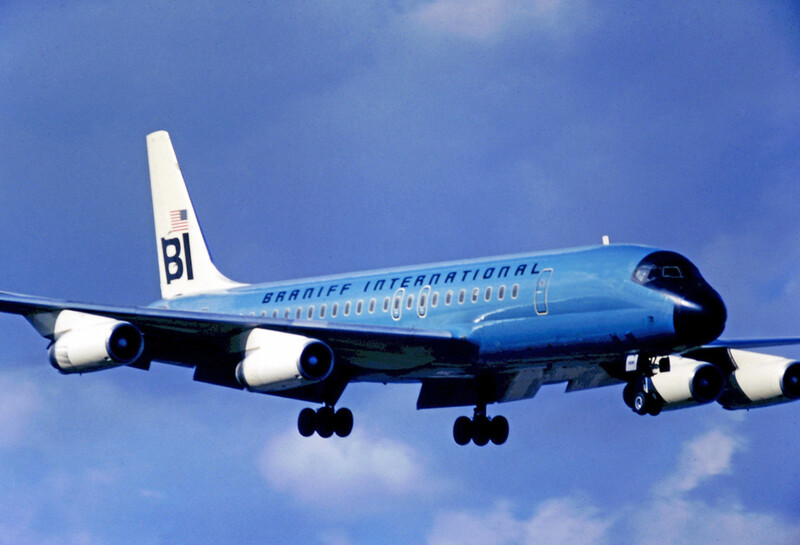 A: I worked for Braniff International Airlines in 1977, for a very short time. Looking back, I can truthfully say that leaving was one of my biggest mistakes ever. Young, lonely, broke and isolated from all the people I called close friends, I succumbed and left after a devastating back injury that left me grounded for over a month. A love letter I received from a former boyfriend was the straw that sent me reeling over the edge to tender my resignation. It turns out he was secretly still married and hadn’t bothered sharing that information. Q: What Was Your Favorite Trip? A: My favorite trip had to be the flights aboard the Boeing 747. That enormous ship, capable of carrying 360 passengers daily from Dallas to Hawaii served first class food on real dishes in a setting of luxury and comfort. Before graduation from flight attendant training, we all dead headed to Hawaii to learn about the multiple food services, listen to the flight announcements and observe the operations of the crew that worked the eight-hour flight over. A few of us were privileged to ride in first class where the amenities seemed endless with snacks, beverages, movies and more. We worked the flight back to Dallas after a very brief layover in Hawaii that didn’t include overnight lodging. Q: What Was Your Favorite Destination? Why? 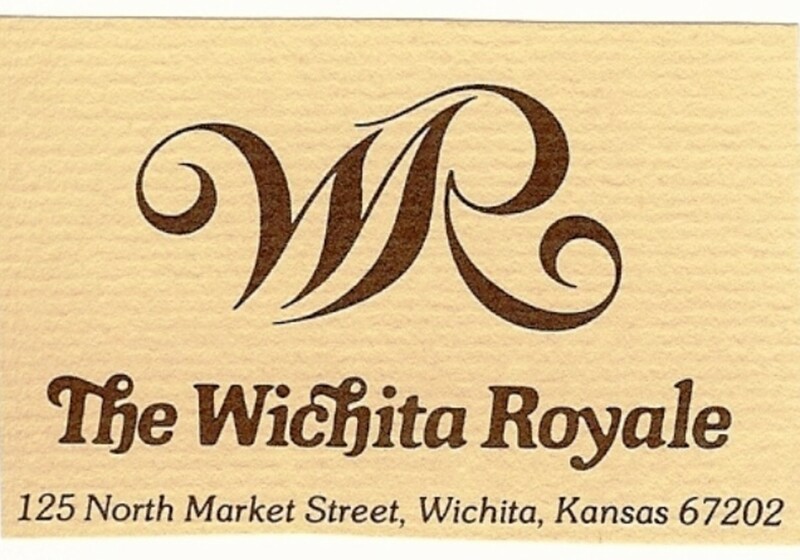 A: For odd reasons, I loved flying into Wichita, Kansas where we stayed at a luxury hotel called the Wichita Royale. Unlike many places where the flight attendants were booked, this hotel had a variety of things to keep the traveler entertained, such as loner bicycles that were available to its guests. I remember joining a rookie crew that gathered after check in to take a ride through a beautifully landscaped bicycle path in the city. Q: Which Route Did You Dislike the Most? 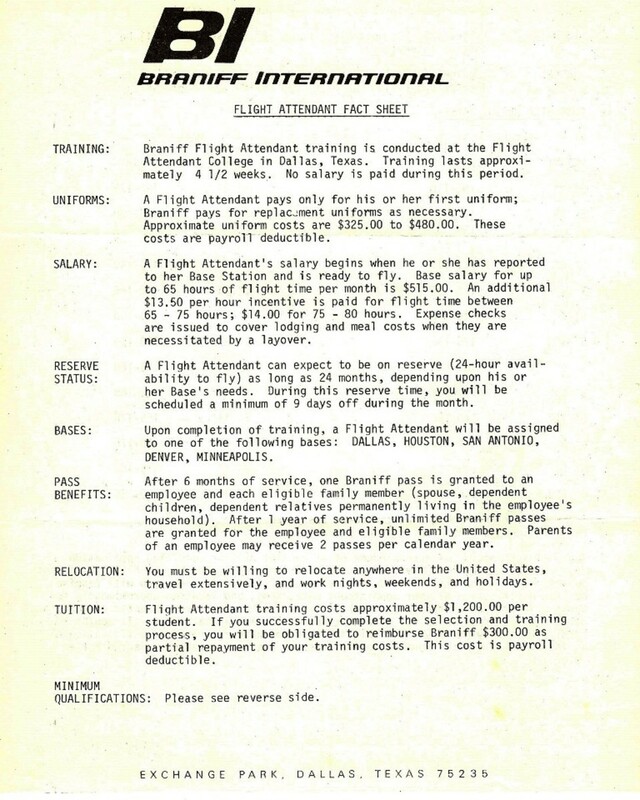 A: Most of those who flew during the rapid expansion of Braniff’s flight attendant staff served a reserve schedule which kept us available for whatever flights needed an extra pair of hands. 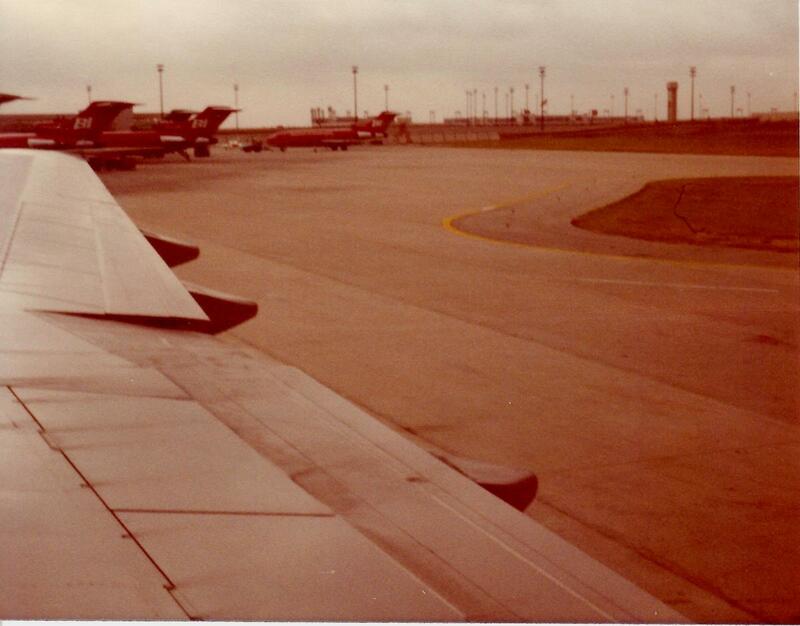 One of my first experiences included working the “Kansas City Meal Run” a series of short legs with brief stopovers to deplane and board new passengers in the busy commuter hours between 4 pm and 8 pm. During a one-hour, ten minute flight, we served dinner meals and beverages to a full complement of passengers or around 128 meals in a span of fifty minutes of level flying. While we boarded more passengers between legs, we scurried around picking up the airplane (collecting magazines from seat pockets) along with any residual debris left in the seating area while the carrier food service restocked our galleys and the housekeeping services vacuumed and wiped down the cabin. 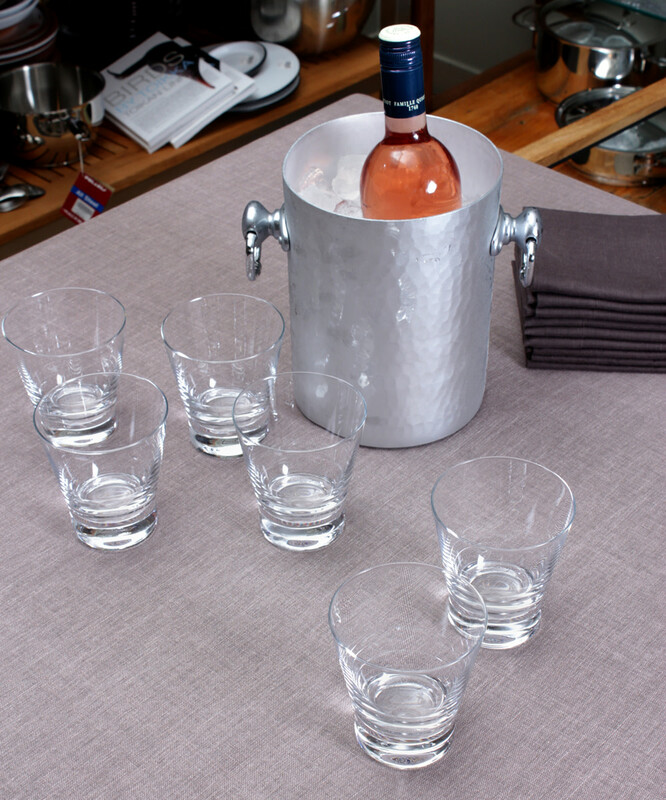 Some of us busied ourselves icing down trays of plastic glasses to get a head start on the upcoming beverage and meal service of the next leg. Usually there were three meal services and two beverage services before our layover. It was exhausting. Answer: 24-hour reserves were paid a base salary for a minimum of 65 hours of flight time per month. Those hours did not include times when the plane was on the tarmac boarding passengers or allow for mechanical delays while we waited for repairs. It included only the time the aircraft was off the ground. The starting salary at the time I worked was $515.00 per month. That didn’t include the monthly deduction to pay for our uniforms. Any hours flown over the minimum would increase our earnings, but as a group of seemingly endless reserves, there was more than adequate staff available to fly limiting our ability to earn overtime. Starting salary in the seventies was $515.00 per month. Q: What Was Your Most Interesting Trip? A: Following a trip to Hawaii where we deadheaded over on the flight from DFW to HNL, a rookie crew was assigned aboard a DC-8 Charter flight heading ultimately to Chicago via San Francisco. 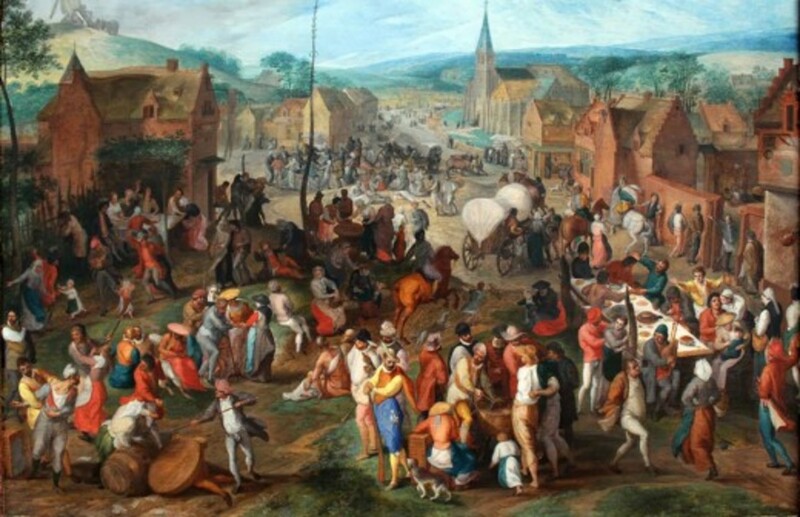 These passengers were on the return leg of a fabulous vacation and naturally, despondent that their dream trip was nearly over, it made things difficult in pleasing some of their numbers. They were exhausted from their time in the islands and the mechanical delay we experienced before takeoff had them rather cranky from the start. I remember the senior on the flight telling us to wake passengers up to serve them their dinner meal. That made for some interesting reactions from both sides of the service. Q: Any Memorable Actor, Celebrity, Politician, or Well-known Person On Your Flights? A: Reserves like me were rarely senior enough to work first class where the celebrities usually sat. I was working coach on a late evening flight from Dallas to New York. 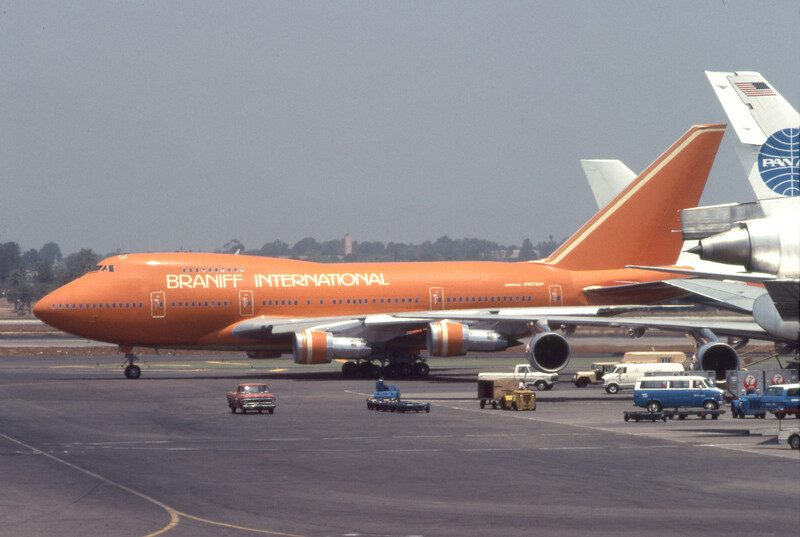 We all knew that the President of Braniff was seated in the forward compartment. Harding Lawrence was known for his meticulous observation of service standards and his reaction to this particular meal service was notably unpleasant. The nervous crew member serving the dinner meal mistakenly served the salad course before serving appetizers. His reaction sent at least one other passenger running to the coach section asking if she could sit back there and get away from the tension up front. Q: Did You Ever Have A Life Threatening Emergency On-board? A: On one of the training flights, for unknown reasons, the “brightly colored oxygen masks” dropped out of their overhead compartments in the entire aircraft. This caused a panic among the passengers who had either slept through the announcements about how to use the gadgets or busied themselves with other things during that time. The pilot came on the speaker and told everyone there was no real emergency, that a light had come on in the cockpit and he was sure it was a non-threatening situation. Nonetheless, he dropped our altitude to around 10,000 feet where the turbulence became greater and caused meal service to be suspended. We landed without further incident and no one was injured. Q: What's Your Favorite Story About Flying? A: We were about to board a flight returning from Mexico City when the flight crew passed a jewelry stall near the airport. Displayed in the window was the most gorgeous oval cut Peridot ring I’d ever seen. Even at the cheap six-dollar price I was too broke to splurge on it. The crew must have heard me say it was my birthday because they paid for the ring out of their own pockets. I wish I could remember their names and could write each of them a thank you letter these many years later. We never worked another flight together. Q: What's Your Favorite Passenger Story? A: We were picking up speed down the runway, just about to take off when something in the galley came crashing down to the floor. It was the metal coffee pot that we’d forgotten to secure. One of the passengers in the aft section had not been on a flight in the previous twenty years, ever since her last flight had crash landed. Needless to say, she was beyond distraught. One of the crew made their way up the heavily inclined aisle during the fast acceleration when we were supposed to remain in our jump seats. She managed to calm down the lady’s hysterics and comfort her with a few reassuring words. Q: What Was the Best Part of Your Training? A: The training was top-notch but the most enjoyable part for me was the emergency training segment. We were required to deploy slides from a second story exit in a building and jump down and ride the slide to the ground. We were also given a chance to put out a controlled fire using real fire extinguishers. 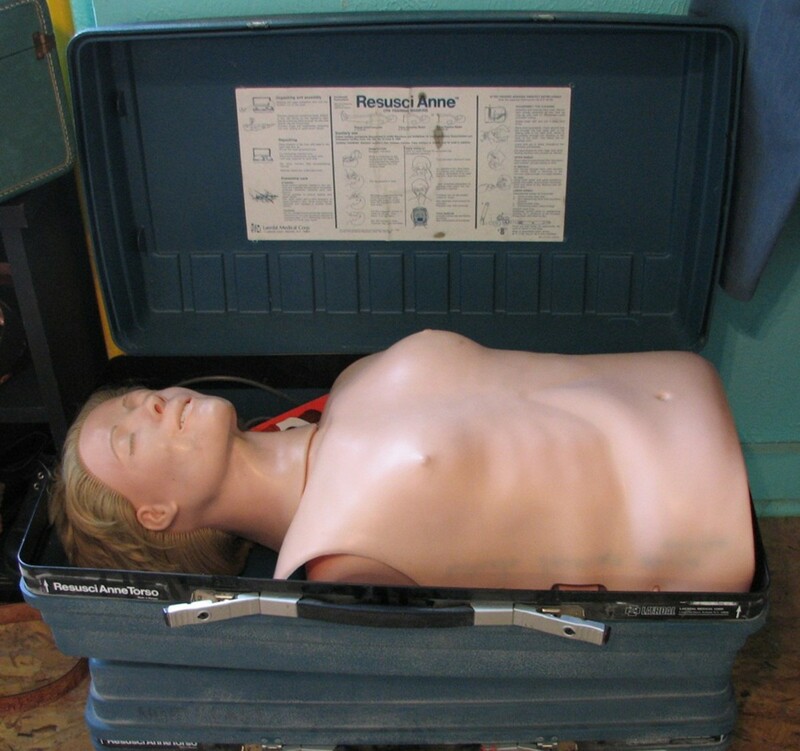 Also we received CPR training using plastic dummies named Resusci Anne and Resusci Andy. We had a lot of fun with the props. Q: Would You Choose This Career Again If You Had the Chance? 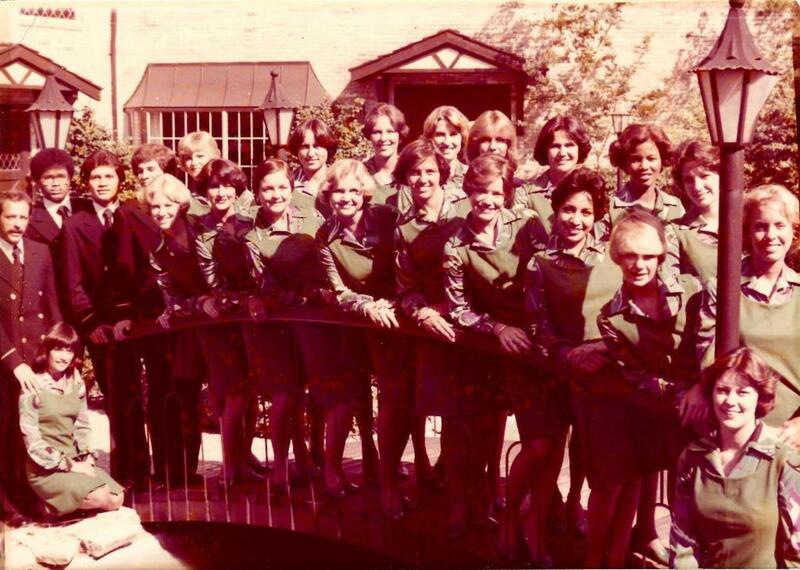 A: Although much has changed in the world of airline service, I would love to go back to the way it was with Braniff where service was truly the objective. There were playing cards for the adults and plastic airline wings for the kids.We served real meals on real dishes with metal forks and knives. We offered second coffees and beverages along with Cappuccino made with real Brandy. 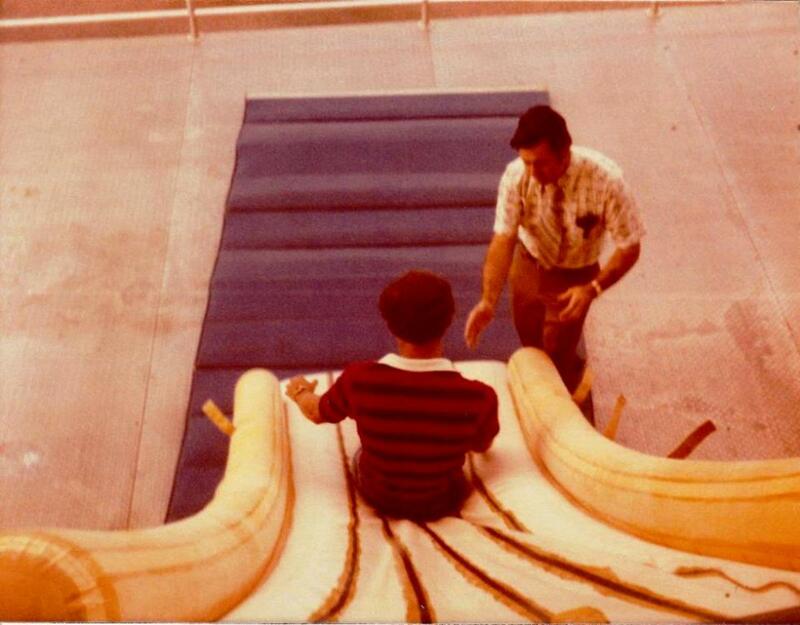 We carried things on trays rather than use rolling carts and we had the most beautiful uniforms created by designers. Oh, if only I were young and ambitious again I would apply in a heartbeat. It was the hardest job I ever loved. Thanks, Pam, for your insight into the life of a flight attendant. Here's hoping to bring you more stories from 35,000 feet soon. Until then, happy flying. Hello Ann, I'm glad you stopped by to check this out. You know, I don't enjoy flying as much as I once did, perhaps because of the way travel has changed over the years. Still, it's a thrill to be up in the clouds once we take off. I hope you'll enjoy the next interview with a flight attendant who spent many years in the air. She's quite a character. What great stories, Peg! I was totally enthralled, even though I don't like flying. I steel myself to do so when the ends justify the means but it's not a job I ever considered. I'm looking forward to reading the following ones as I've only just got round to reading this first one, sorry! 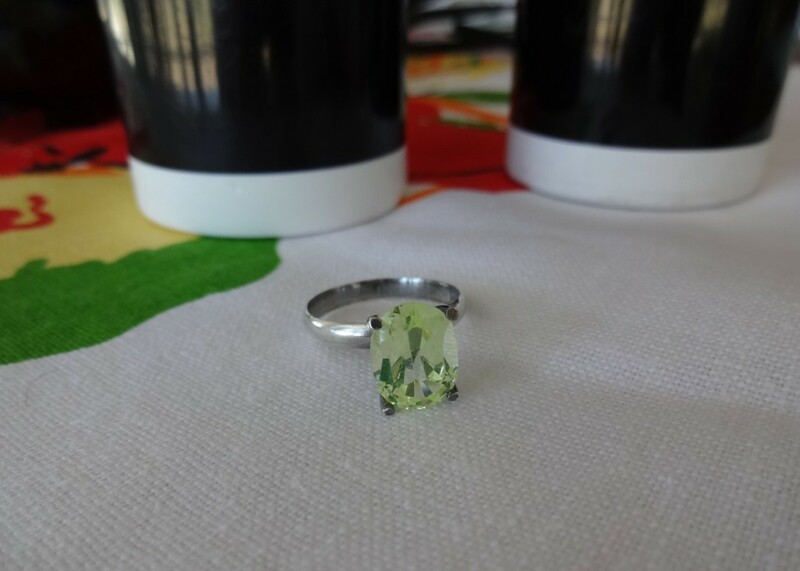 BTW, I love the peridot ring - green is my colour and I love wearing rings! Hello Lynnie, Thanks ever so much for taking time to read this and for leaving such a nice comment. Things truly were different over the years of flying. Cheers Sky Sister. This is totally amazing and amusing. I loved your story about being a cabbie and getting that guy to the hanger right before Christmas. I'll imagine that you have dozens of great tales from driving people around in a cab. Thanks so much for dropping by to read this and for the interesting comment. Yes, the cost of training and uniforms were a large expense on such a small salary. I was so broke that I couldn't afford to do much of anything except sit at home between flights. Anyhow, I still loved it and find that most FAs have fond memories of those days. What a great memory you shared about smoking on planes. I remember it well. Along with the pilot clicking off the seat belt sign, the no smoking lamp went out, too. Simultaneously, the click of dozens of lighters could be heard as passengers lit up. You would have thought there would be a curtain or something to divide smoking from the non-smoking section but there wasn't. Smoke traveled wherever it wanted to go. Hi Shauna, Looks like I dropped out of the sky on answering these comments. Sorry about that. I believe you would have made a great flight attendant with your wit and personality. We never know how different our lives might have been if we took the other path in the road. Thanks for coming by to comment on this one. Reading this brought back a few memories of when I used to do a lot of travelling, but my favourite story was when I was a cabbie and picked a guy up from a Lufthansa flight to take to the Aircraft manufacturing plant at Woodford in Manchester. It turned out he was the test Pilot for Lufthansa and was picking up a plane that had come to England for repairs. When we got there the plane was locked in the closed up hangar with no one around. The guy got out of the car and started such a commotion that security came screaming round the corner, then doubled over in laughter as they saw how he was trying to get to the plane. Needless to say he was airborne within ten minutes and heading back to Germany, by the way, it was the day before Christmas. Hello Mike, It's never too late to drop in for a quick trip down memory lane. Hope they upgraded you on your connecting flight. I wish I could interview your friend from high school who flew for the airlines. Everyone seems to have a different story to tell. See you in First Class. Hi William, I'm eager to get the survey responses from other flight attendants whose stories need to be shared. Thanks for reading and for the kind comment. Hello Verlie, I hadn't realized that you lived in a remote area in your youth. Flying around must have been a real thrill in those days. Yes, indeed, we moved every two years with different Navy assignments. I had five different teachers and lived in in four different states in the first grade. I believe it gave me an expanded perspective of different areas of the country. Cheers and thanks for the kind words. This was so interesting to read Peg. I had no idea about the mandates such as the first uniform being deducted out of that first paycheck. At least uniforms after the first one were paid for by the airline. I would imagine that you would have needed several at a time in order to wear clean ones at all times. Between the first uniform cost and the $300 reimbursement for training costs taken out of your first checks, it would have taken a few months before you would have actually been making any money. I remember the days of playing cards on board. What I do not miss is the smoking on board! That must have bothered the flight attendants also unless they were heavy smokers and enjoyed all of that second-hand smoke. Hello Jackie, Thanks so much for vicariously enjoying this trip down memory lane on this new series. Oh, there was more than one harrowing experience on-board and I look forward to sharing more stories. What a shame that our bravery sometimes shows up later than when we need it. You would have made a great flight attendant, I'm sure! Peg, I love that you've started this series. As you know, I wanted to be a stew when I was in high school, but my ambitions were thwarted. I can now live vicariously through these interviews. Hello Maria, Wonderful to see you on this interview series and I'm looking forward to sharing more stories from the skies. Thanks so much for your kindness and your visit. Hugs, Sista. See you on the next leg! Hello Peg - Sorry, I'm late. I missed my connecting flight. Sounds like 'Pam' had really interesting adventures during her time as a flight attendant. Every life should be filled with the adventure of travel. A friend of mine (male) from High School was a flight attendant for awhile. From the stories he tells, some of his best memories occurred during that time. Hello Dora, The uniforms were quite expensive, at least comparatively for those times and the salary. But they were well made and good quality designs. 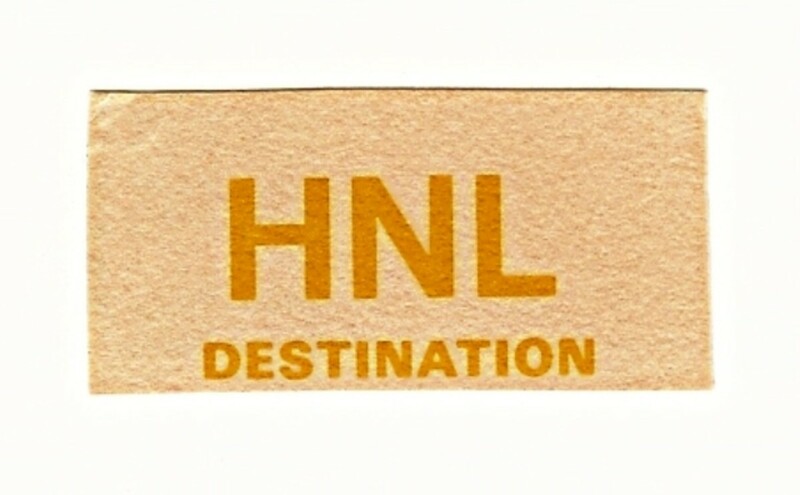 Soon after these photos, Braniff transitioned to the Halston designs which were sleek jersey fabric with suede accessories like luggage and overcoats. Liz, Thanks so much for the kind words and the visit. Interesting and informative, Peg. You did a great job of not just highlighting the job, but the person behind the job. thanks, Peg. Hello dear Chitrangada, How wonderful that your family members share this profession! I would certainly enjoy doing an interview with them if there was a chance. Please let me know. I would love to hear more stories from the skies and write about them. You're right about some tightly held secrets that I imagine you know, too. Thanks for coming by. Loved this Peg. I flew quite a lot around this time too because we lived in such a remote area (no roads out) and I remember the real meals served. What a lot of work! 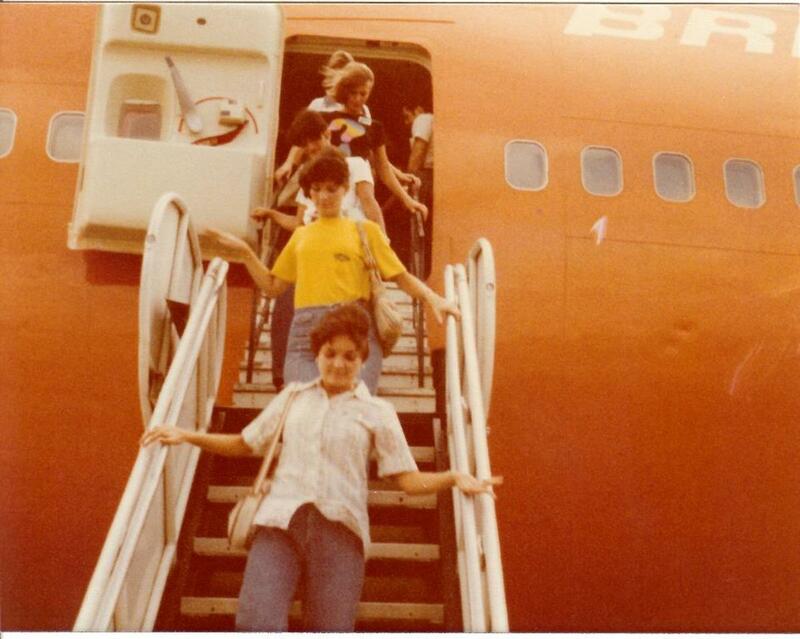 It's great to read about your career as a flight attendant, and your background, always moving when you were a child. I like the way you set this article up as an interview, it reads really well that way. Oh, Peg, so loved your little share of your career! Hard to believe you only had the one scare in all those years. I was one of those young girls who thought of being a stewardess too but I guess unlike you I had been nowhere, lived in the country and just was not brave enough. I am now, but it is too late! Thank you so much, I savored every word! "It was the hardest job I ever loved." - What a great line...!! I enjoyed this interview very much, dear Peg. I had no doubt this was a demanding job but some of the situations / personalities involved sound exhausting. Great, interesting information about an adventurous, exciting job. Weren't the uniforms expensive compared to the salary? Still, they usually were quite fashionable. Really enjoyed reading the details. Hi Genna, It's hard to imagine that most people have not experienced the glamour days of flying with complete meals even in coach. I remember the convection ovens and assembling the trays with a hot casserole, cold salads, coffee cups, silverware, and running the trays up and down the aisle. A different era, that's for sure. I'll imagine your son has some great tales to tell about piloting. Wow. That would make a great interview series! Thanks for the idea and also for coming by to leave such a nice comment. I enjoyed reading this first hand account of a fascinating job. At the outset, it sounds like a very interesting series. I enjoyed going through this interview. The life of the flight attendants has always fascinated me, since childhood. Some girls from my family are in this profession, and thus I have some idea about the tough life and training this job requires. 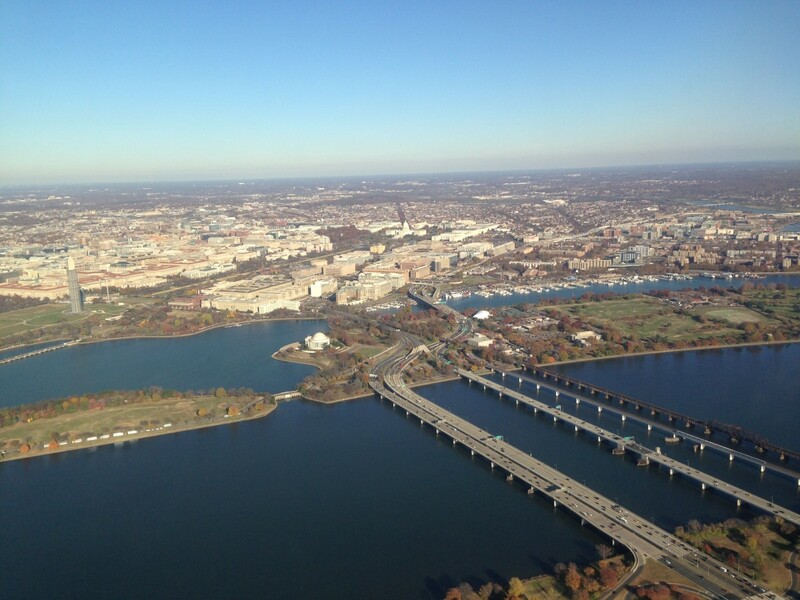 Thanks for sharing, some of the interesting facts, which only a flight attendant knows. What an interesting article, Peg. And what an amazing journey you've had! I've fantasized what it must have been like as a passenger, back in the day, being served a meal on actual dishes. But I think that passengers -- then and now -- have no idea what the flight crew and attendants have to endure in terms of training, experiences, etc. My son is a pilot with Southwest, and his stories are eye opening. I never leave a plane without first thanking the attendants and pilot standing at the door as my fellow passengers hurry past to get to the terminal. Thank you for sharing this story with us. Hello Bill, You know, looking back, it was the highlight of the many jobs worked over my career. I only wish I'd stayed the course. Hindsight, right? Hi Flourish, The days of free playing cards and smoking on planes is far gone now, that's for sure. Maybe the smoke-free thing isn't such a bad thing. LOL. Glad you enjoyed reading this bit of nostalgia. I have a couple of other interviewees lined up awaiting their answers. A very enjoyable read, Peg! Thanks for sharing it with us. It must have been fascinating to be a part of that rapidly-growing industry. I enjoyed this walk down memory lane and recall the days when they use to distribute plastic airline wings and trading cards (and there was smoking on planes). Reading that letter about the training was a real eye opener. Employees had to bear a lot of the financial burden of training compared with today’s practices. Hi Barbara, Thanks for stopping in to read this interview. I hope to continue the series with additional stories of flying in the sky. I truly appreciate your enthusiasm and comments. Thanks so much. Wow! Who knew what a difficult job this is and how extensive the training and requirements are! I never imagined! Thank you for such an informative hub. What a wealth of experiences you must have stored up from your days in the air.